We’re proud to offer the finest level of service and a continuum of care on our lovely Loveland, CO, campus at the foothills of Colorado’s Front Range. Our ideal location sits close to Centennial Park and near quality health care resources, including Banner Health Center and McKee Medical Center. 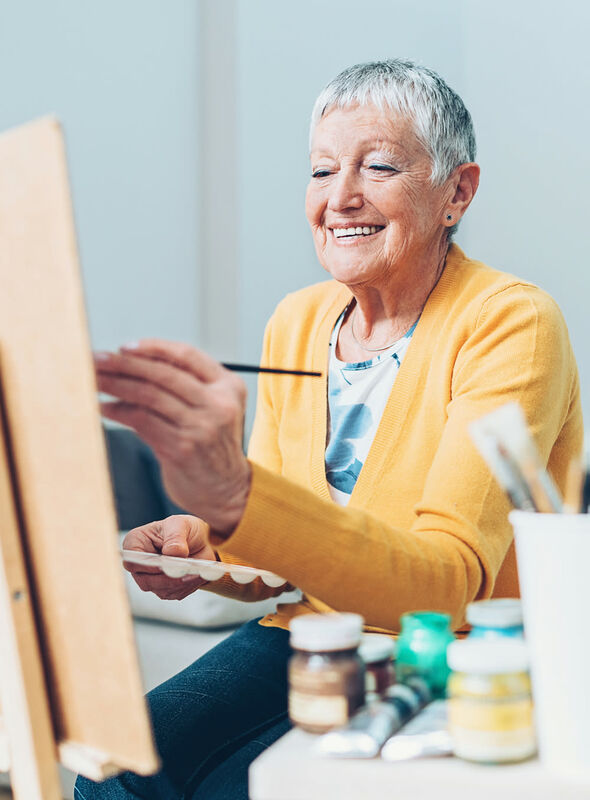 Our all-inclusive senior living community gives active residents the freedom to spend their time as they wish, whether that means relaxing in their spacious private apartment home or playing golf at The Olde Course at Loveland. Assisted Living residents benefit from a personalized care plan that provides support when and where they need it, while our Connections for Living residents enjoy the comfort of a warm and gently stimulating neighborhood. This is home, the place to live and feel your best. Schedule a private tour to learn more about all the advantages of maintenance-free living and our award-winning continuum of care at Hillcrest of Loveland in Loveland, CO.